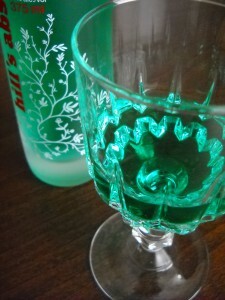 Hill’s Absinthe’s low-anise flavour makes it the perfect spirit for making cocktails and martinis that will delight you and your guests. Try one of the recipes below, or experiment with your own concoctions — you’ll see why Hill’s Absinthe is world-renowned for its superior quality and adaptability. 1. Combine all ingredients in a tall glass. 1. Combine Hill’s Absinthe and orange juice in a highball glass. 1. Combine the Hill’s Absinthe and cola in a Collins glass. 3. Finish with a slice of orange. 1. Combine the Hill’s Absinthe and vodka or gin in your favourite Martini shaker. 2. Shake, and pour into Martini glass. 3. Add a twist of lemon. 1. 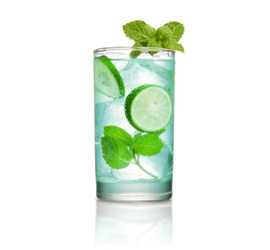 Combine the Hill’s Absinthe, vodka and soda in a Collins glass. 3. Garnish with a slice of lime. 1. Combine the Hill’s Absinthe and tonic in a Collins glass. 3. Garnish with lemon or lime twist. 1. Combine Hill’s Absinthe and grapefruit juice in a Hurricane glass. 3. Add a twist or slice of lime.